Bishop Buckley will celebrate the Mass of the Chrism in the North Cathedral on Holy Thursday morning, April 13th. 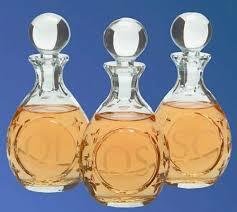 The Chrism Mass is the only Mass allowed in the diocese on Holy Thursday morning. During this Mass the oils that will be used for the Sacraments of Baptism, Confirmation, Ordination and Anointing of the Sick, throughout the coming year, are blessed or consecrated. Priests also renew their commitment to their sacred ministry at the Chrism Mass.